Young Handsome Man Blowing Out Candles On Birthday Cake Over.. Stock Photo, Picture And Royalty Free Image. Image 68100693. 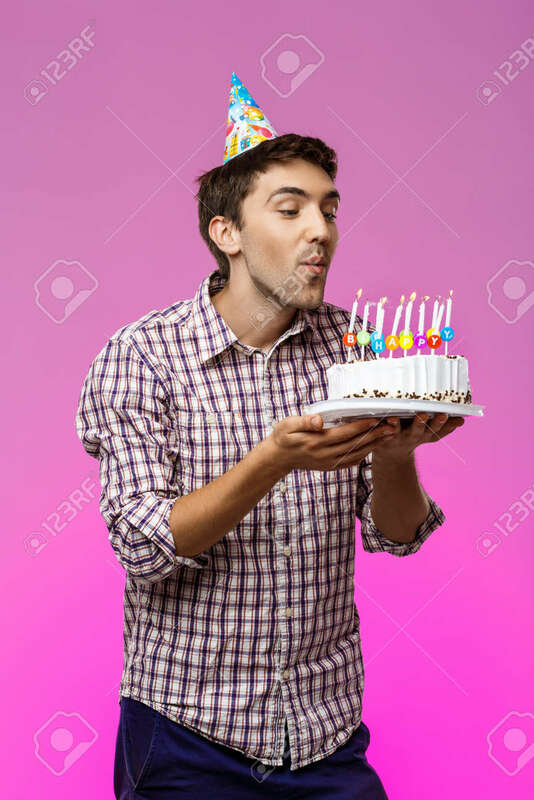 Stock Photo - Young handsome man blowing out candles on birthday cake over purple background. Copy space. Young handsome man blowing out candles on birthday cake over purple background. Copy space.